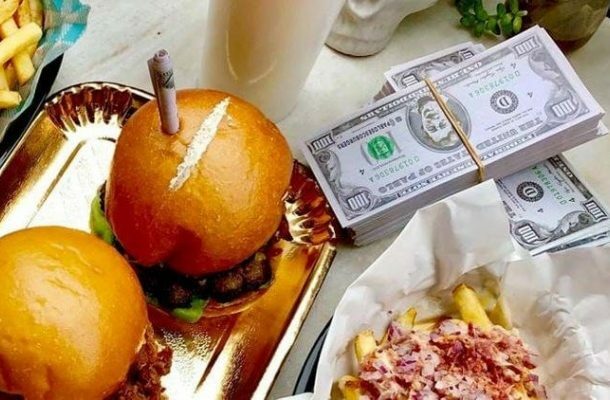 The backlash against Pablo’s Escoburgers started on Wednesday, when the pop-up eatery uploaded a photo of its “The Patron Burger” on Facebook, with a caption that read “infamous patron burger that people are lining up for”. It featured an otherwise delicious burger with a line of fine white powder on top and a fake rolled up $100 bill stuck into the top bun. That white powder turned out to be garlic powder, but a lot of people found the reference to snorting cocaine very offensive. The fact that other photos showed a small plastic bag with more garlic powder and a spoon, which allegedly comes with The Patron Burger, only made things worse. “You are so naive. I hope you one day actually talk to a Colombian and realise how offensive your restaurant is,” one Facebook user commented on the Pablo’s Escoburgers page. “How can we explain to you people that IT ISN’T FUNNY? Try to do that with Hitler and see what happens. Use your brain folks,” another person added. There was so much negative feedback that Escoburgers co-owner Vaughn Marks put out a written statement to clarify things. “We are very proud of our burgers but we do also understand that Pablo Escobar was a horrible man who destroyed the lives of thousands of Colombians,” the statement read. “We do not condone, idolise or promote Pablo Emilio Escobar or his actions in any way. We are however Australian and know how to have a laugh about a good play on words. It’s just a name of a pop-up burger bar not really a theme. Hard not to offend someone in 2019. Marks also made it very clear that he has no plans of changing the restaurant’s name. It’s worth mentioning that despite the controversy around the restaurant’s name and the way some of the burgers are served, not everyone was offended. In fact, a lot of people expressed their approval: “Looks amazing! Love all the princesses complaining haha,” one Pablo’s Escoburgers fan wrote on Facebook. “Brilliant marketing! Nothing better than eating burgers and coke,” another person commented.